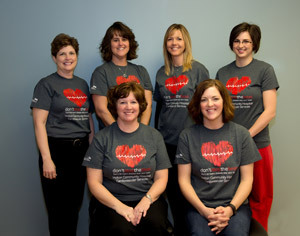 Cardiovascular Services is a specialty department within Holton Community Hospital providing Cardiac Rehabilitation for individuals following a heart attack, coronary artery intervention like balloon angioplasty and stenting, heart surgery and for chronic heart failure. There is also a Wellness Exercise Program that is monitored by RN's available for individuals on a self- pay basis. Additional services include Nuclear Medicine stress testing, Holter Monitoring and analysis, EKG's, Echocardiograms and vascular ultrasound studies. We also now offer complete pulmonary function tests to help diagnos and treat COPD, Asthma and Emphysema.